The following was published by the Mind Set Central website. It is archived here for reference, and all copyrights are owned by their respective owners. The .mp3 is housed on Mind Set Central’s website, while the text is pasted here for archival purposes. Not only was John Lennon the founding member of the Beatles, and one of the greatest singer/songwriters the world has known. He was also a political free thinker, who challenged the world with his anthem “Give Peace a Chance”, when America was engulfed in the war in South East Asia. When Lennon attempted to emigrate to the United States in the early 70’s, he was considered such a revolutionary that the United States Intelligence community put Lennon under constant surveillance. This consisted of phone tapping and constant knowledge of his whereabouts at all times. The full extent of Lennon watching the FBI, CIA and NSA got up to, is still not completely known as facts are still coming to light. The fact that Lennon was so famous and controversial at that time makes his apparent UFO sighting all the stranger. On August 23rd, 1974 Lennon walked out on to the balcony of his New York apartment, and witnessed what he later described as a “Flying Saucer” hovering closely, just above his window. Lennon became so completely fascinated by the event, that he talked incessantly about the incident, and even included the encounter within two different songs on different albums. – Out of the Blue, from the album Mind Games. Below is an interview with Lennon’s assistant/lover May Pang, who also witnessed the event, which completely describes the encounter. “Though we’ll never know for sure, we hope the aliens onboard the craft that buzzed John Lennon’s 53rd Street Penthouse apartment weren’t shy. For, according to the late Beatle’s ex-girlfriend, the famed mod rocker was standing on the balcony in his birthday suit enjoying the view when his quiet evening at home was interrupted by the likes of a vehicle from another world. May Pang is one of the warmest people you’d ever want to meet. She’s quick to smile and bring you into her confidence. May Pang was more than willing to give me the scoop on John’s Big Apple UFO encounter because – as it turned out – she was right there at his side during the incident. We had just ordered up some pizza and since it was such a warm evening, we decided to step out on the terrace. There were no windows directly facing us from across the street, so John just stepped outside with nothing on in order to catch a cool breeze that was coming in right off the East River. I remember I was just inside the bedroom getting dressed when John started shouting for me to come out onto the terrace. Presented here for the first time is the only radio interview Lennon ever gave about his close encounter. The sound bite is brief, but informative, and can you certainly hear Lennon’s excitement as he relates his experience. Also included is a sound bite of Lennon’s then girlfriend May Pang, relating what she remembers about the event. A year or so after his New York UFO encounter, Lennon also claimed to have had a visitation with aliens, at least according to physic Uri Geller. 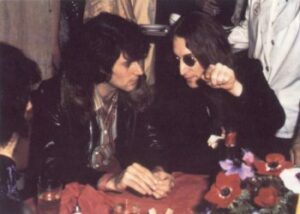 Here Lennon is seen discussing his encounter with world famous psychic Uri Geller. Lennon told Uri he was visited by extra-terrestrials when he was in bed with wife Yoko Ono in 1975. He explained to Uri, who told Britain’s Sunday Telegraph newspaper in 2004: “I was asleep in my bed, with Yoko in the Dakota Building. And suddenly, I wasn’t asleep. 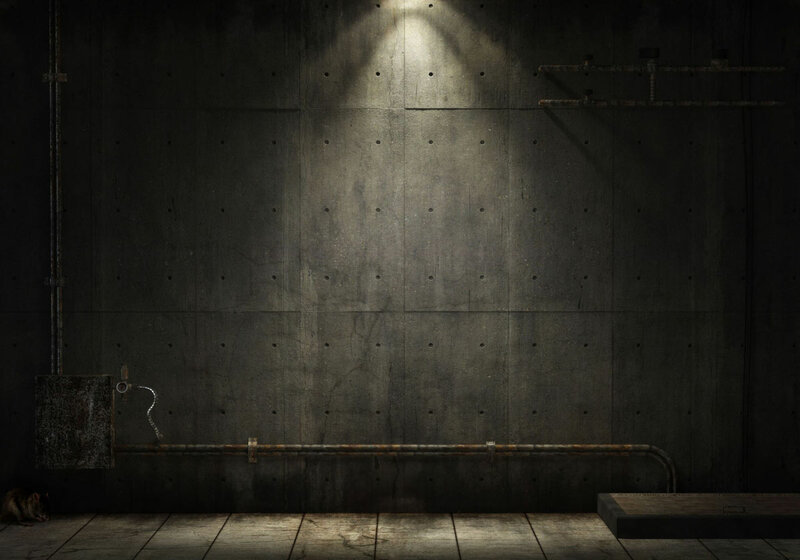 There was this blazing light, shining through the door. Lennon insisted he wasn’t on drugs and definitely saw the ‘aliens’.